For 14 years Adventist Healthcare (AHCL) has been encouraging quality management internally via its annual Quality Awards program. Initially sponsored by Baxter Health Care, the San Quality Awards program was developed to recognise innovative quality improvement projects designed to improve clinical processes and patients’ experiences. Since its introduction in 2000, nearly 180 quality initiatives have been submitted for consideration from single and multiple departments, clinical and non-clinical wards. 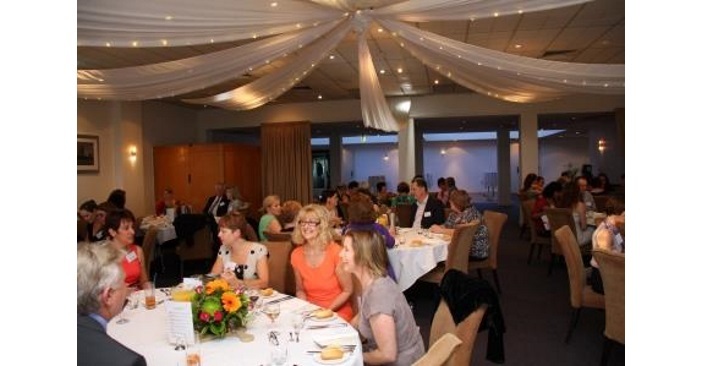 More than 70 AHCL board, executive committee and staff members attended the last San Quality Awards evening. Amongst the quality initiatives recognised was ‘Blood and Blood Product Discard Rate Reduction’ submitted by San Pathology. The project aimed to minimise blood discard and wastage in recognition that blood and blood products are a scarce commodity. The project reviewed processes to identify the causes of the wastage and then implemented processes to minimise it. As a result, San Pathology now operates with the lowest discard rate of any private blood banking service in Australia at 0.7 per cent compared to the national average at 6 per cent. The National Blood Authority has applauded their efforts. “One blood donation can save up to three lives,” said Dr Bevan Hokin, director of San Pathology. “We understand how important it is to have a specific process in place to prevent unnecessary wastage.” The project enabled them to conduct a comprehensive review of processes driven by the San Pathology Team’s desire to improve quality. “Attitude, training, responsibility, support and audits are how we have achieved and maintained excellence,” he said. Another initiative recognised was the ‘Renal Dialysis Patient Exercise Program’ submitted by the Hospital’s Renal Dialysis Department. The San’s renal dialysis nursing unit manager, Trish Campbell, said the motivation was to improve patient health and wellness, muscle tone and appetite as well as reduce stress and risk of falls. The annual Quality Awards dinner is also an opportunity for quality to be recognised with the presentation by Customer Excellence Awards to staff who have gone above and beyond in their role, and the announcement of the Hospital’s Missions Ambassadors – staff members who have been nominated by their colleagues for exemplifying “Christianity in action”.